The photoshoot before her first space mission with the Euro American Federation. Did this on the train so some of the line work is a bit wobbly – I quite like it. 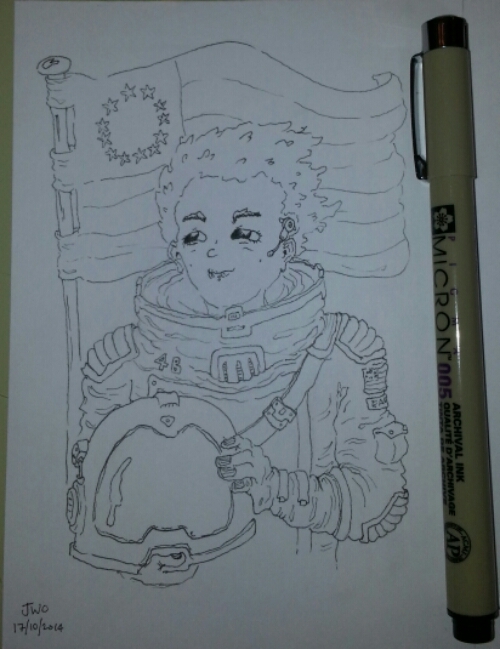 This entry was posted in Inktober and tagged America, Art, Astronaut, drawing, Europe, illustration, inktober, Pigma, Space. Bookmark the permalink.